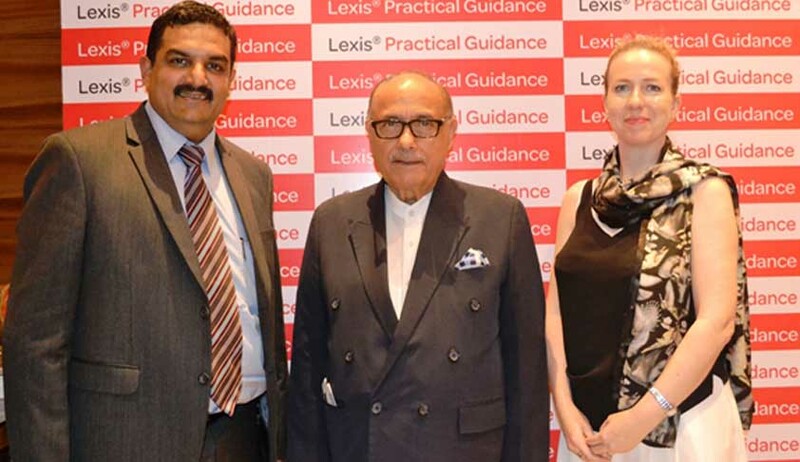 Following overwhelming success in the UK, Australia, New Zealand, China, Hong Kong and Singapore, Lexis® Practical Guidance, an innovative online workflow-based solution, was launched in India at The Lalit, New Delhi, on July 26, 2016, in presence of distinguished dignitaries like Dr. Lalit Bhasin, President, Society of Indian Law Firms (SILF), along with eminent senior law firm partners, senior advocates and corporate counsels by LexisNexis®, a leading global provider of content-enabled workflow solutions. Expounding on the association between SILF and LexisNexis India, Dr. Lalit Bhasin, President, Society of Indian Law Firms (SILF), said, "Our partnership with LexisNexis® is to be recognized as the leading association in India for the betterment of the legal landscape, providing futuristic solutions to today’s challenges. This strategic partnership combines our and LexisNexis’s expertise in developing indispensable knowledge resources with the aid of our legal experts’ knowledge, principles and practices to produce the best, most reliable and user-friendly content for legal professionals." Preeti Arora, Head of Lexis® Practical Guidance, LexisNexis® India - Legal & Professional mentioned that Lexis® Practical Guidance content is structured around key topics and sub-topics within each practice area, including practice notes, precedents with drafting notes and alternative clauses, checklists and flowcharts, to enable legal professionals to efficiently complete transactional matters with speed and precision.